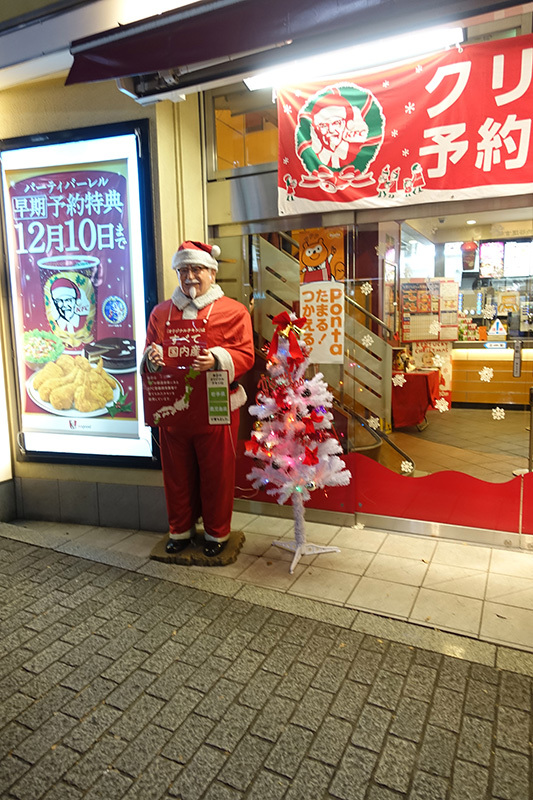 Our day 2 in Japan happened to fall on the United States’ Thanksgiving holiday. 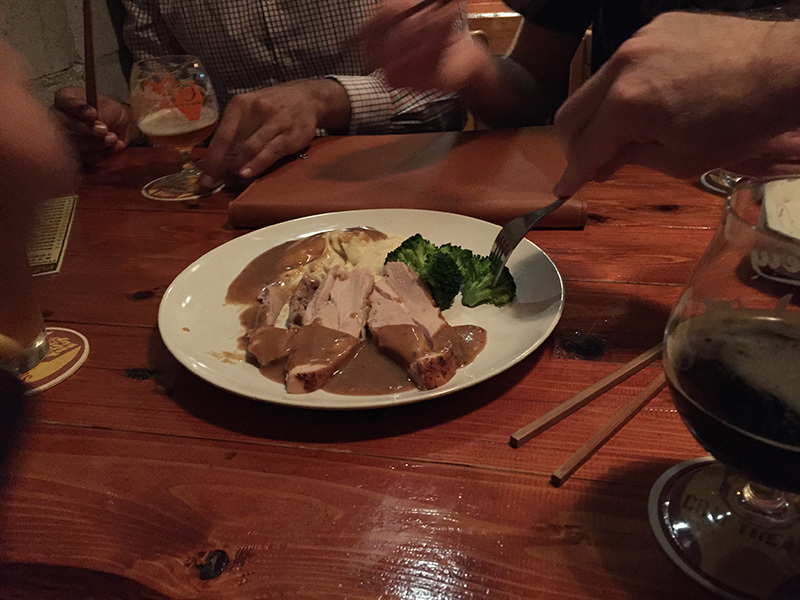 One of my companions (my host in Taiwan) had a particular dream about Thanksgiving in Japan and, since it was one of his main requirements for coming with us on this trip, we decided to indulge him and head to his specified establishment for Thanksgiving dinner. Yes, you’re seeing this correctly: my friend’s dream was to have Thanksgiving dinner at KFC. Our feast was everything I expected it to be but not quite what my friend had hoped for. We weren’t quite sure of everything we ordered but, since everyone else on social media is posting about their own Thanksgiving dinners, I thought I should follow suit and show a photo of ours. Fortunately, we were able to meet up with a friend with whom we work in San Francisco who was also vacationing in Tokyo and he pointed us in the direction of a good bar because we all needed a bit of help that evening. 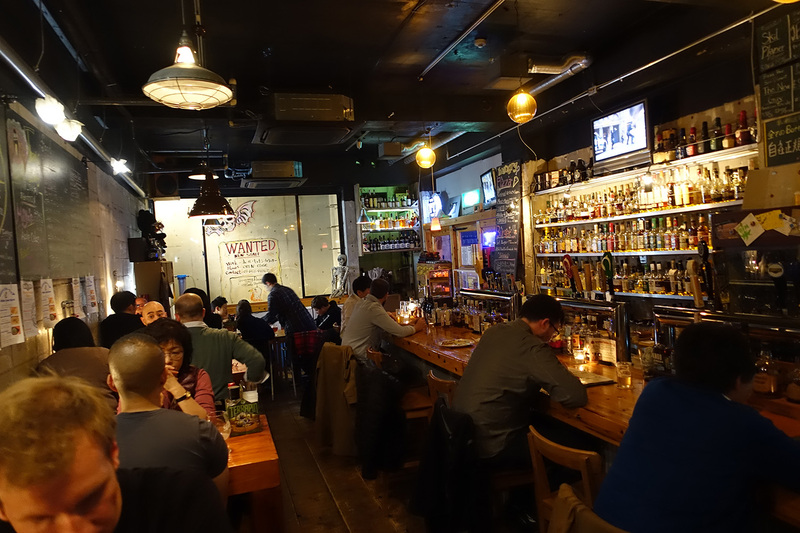 We meandered through Shibuya and found ourselves at Craftheads, which turned out to be a very good way to redeem our Thanksgiving day (thanks, Brian!). There was another American at the bar, too, to whom we were able to wish a happy Thanksgiving and we saw he was being served a dinner of turkey with gravy and mashed potatoes. We didn’t see it on the regular menu but decided to inquire and voila, a proper Thanksgiving dinner was served! This really made our night! After that, we decided to sample some other items on the menu including a 4-cheese white pizza served with honey on the side that was all kinds of deliciousness. The different beers were also good. 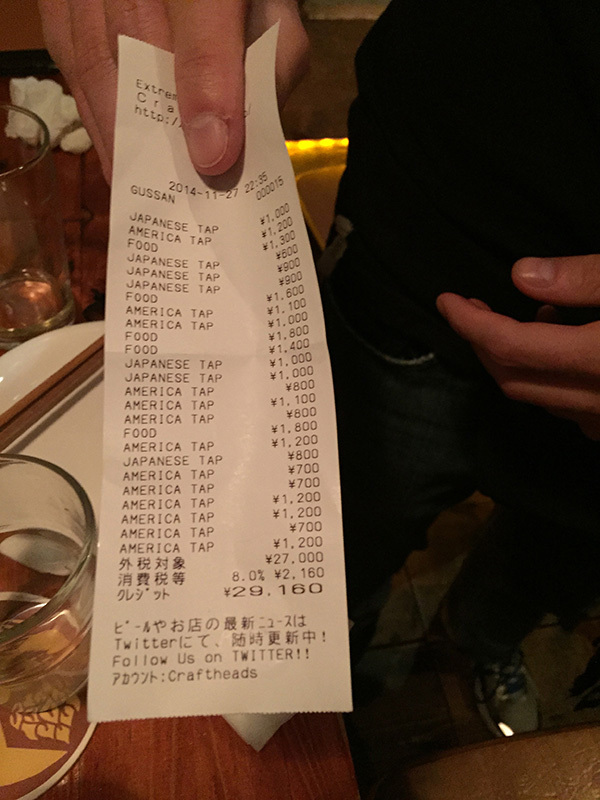 I say this based on my traveling companions’ reactions since I nursed 1 drink through the night (I don’t particularly care for the taste of alcohol) but our bill of ¥29,160 speaks for itself. After having a great few hours at the bar, we decided we should follow it up with an evening of karaoke at the local branch of Karaoke-kan, where Lost in Translation was filmed. We didn’t all sing on key and didn’t know all of the lyrics but we sang and laughed loudly. Our rendition of “Barbie Girl” was particularly epic.